Air-chasing – used to impress the design on the front of the work by sinking a piece of metal that has been folded. 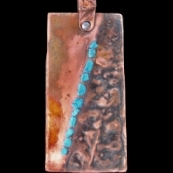 Using objects like dapples, I hammer them into the folded metal that is held in a vice. 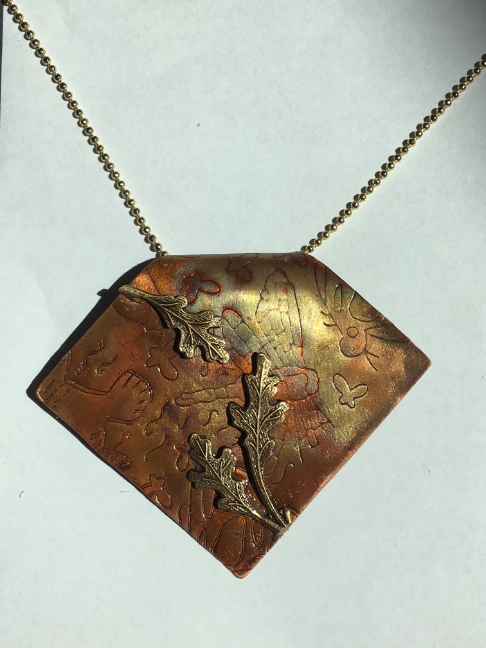 Repousse´- [ray-poo-say] Impressing a design in the back of a piece of metal. 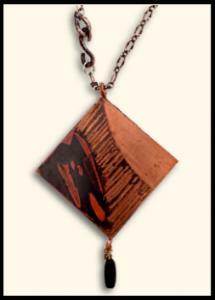 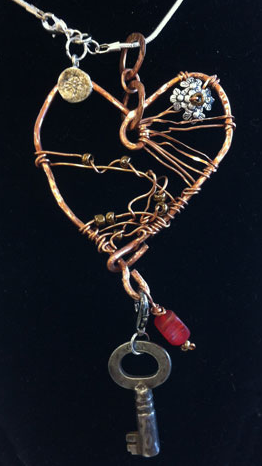 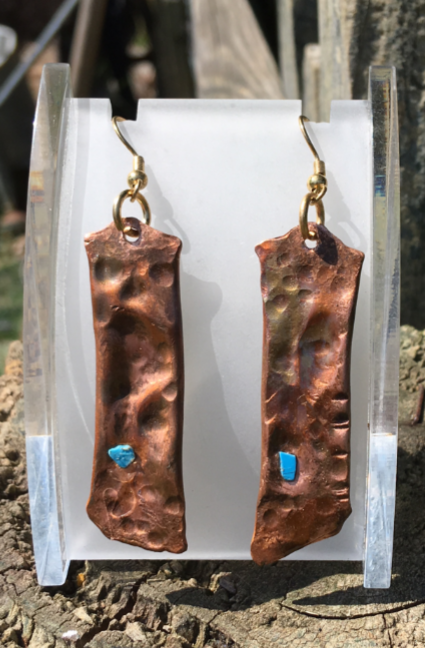 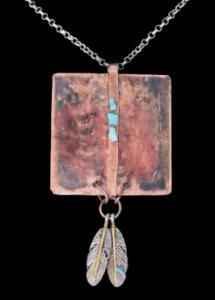 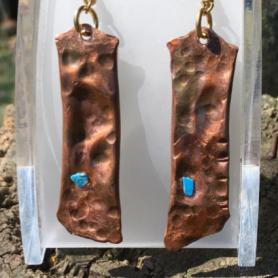 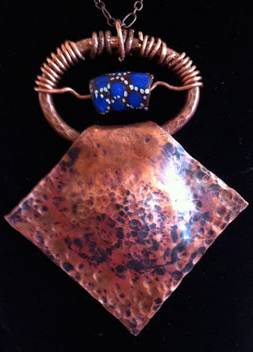 My jewelry is created with copper and most of the time enameled. 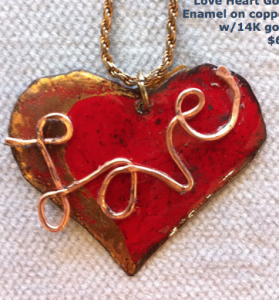 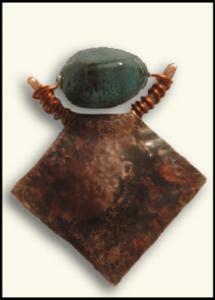 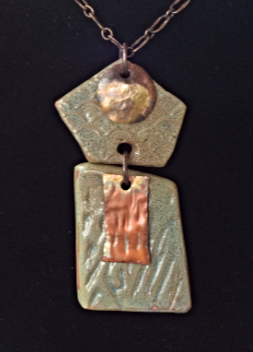 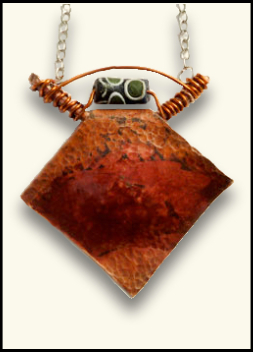 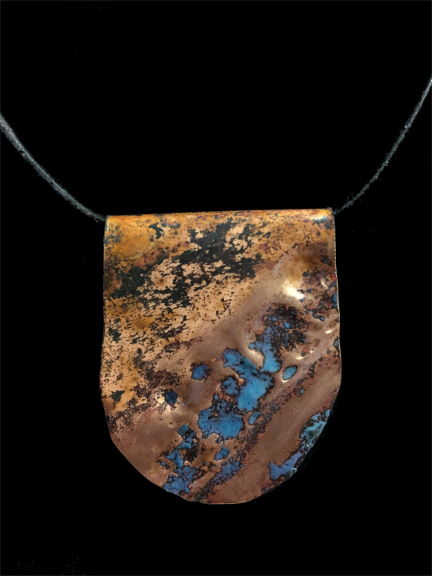 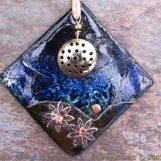 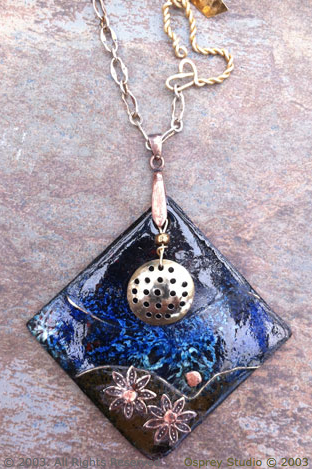 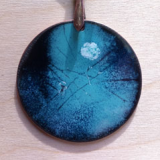 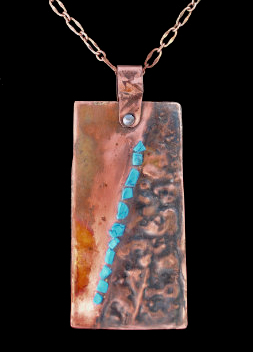 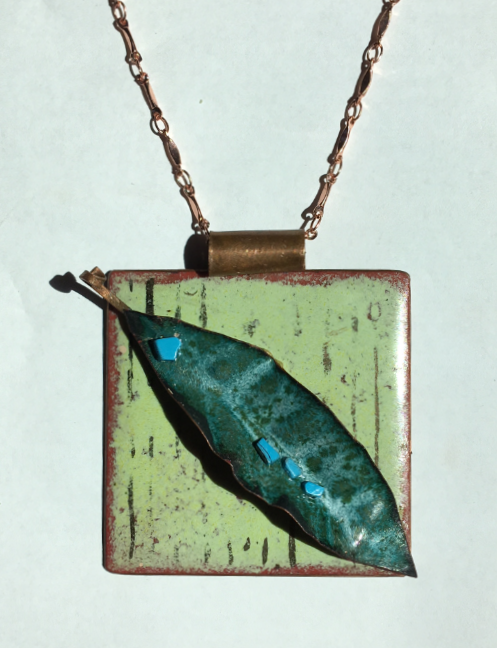 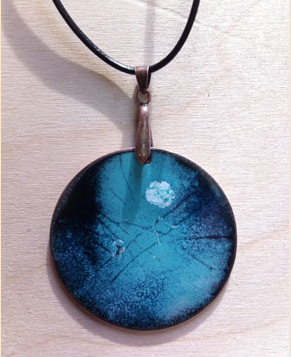 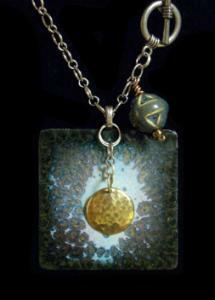 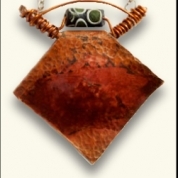 Enameled copper is fired in a kiln or torch fired, depending on what result I am after. 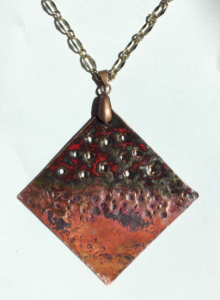 I also like to change the texture of the copper and give it a 3-dimensional relief, in which case I enlist two metal techniques, air-chasing and repousse´. 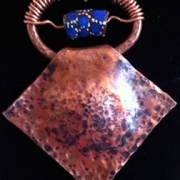 Click an image to enlarge or begin slideshow.